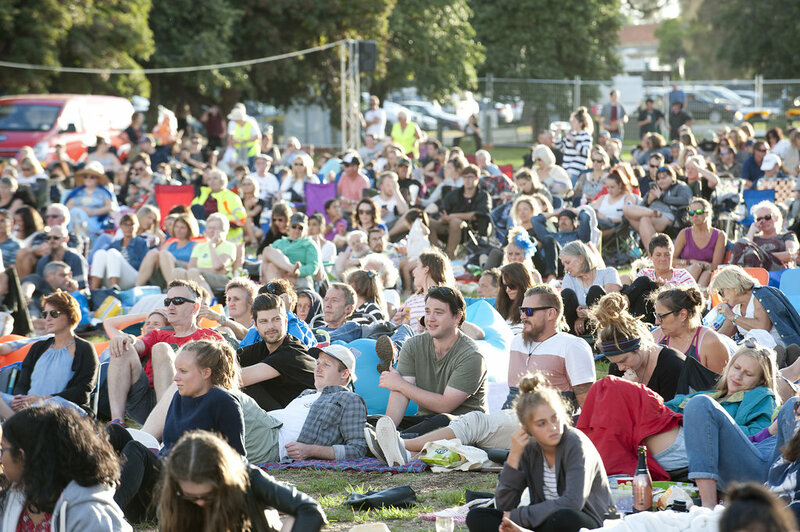 Peninsula Film Festival is Victoria’s largest, outdoor film festival, held on the picturesque Mornington Peninsula in February. PFF runs over three days and the program includes the screening of an independent Australian movie, a FREE short film festival anticipated to attract 7,000 people and a FREE filmmaking workshop designed to encourage and develop emerging filmmakers skills. 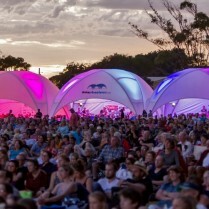 The Festival is supported by the cream of Australian film personalities including Russell Crowe, Sigrid Thornton, Shane Jacobson, Myf Warhurst and many others. The Festival provides access for filmmakers to industry representatives through the many networking events held during the weekend and allows filmmakers and aspiring filmmakers to gain invaluable audience feedback on their work, opportunities to collaborate with other filmmakers and the chance to learn more about the film industry. 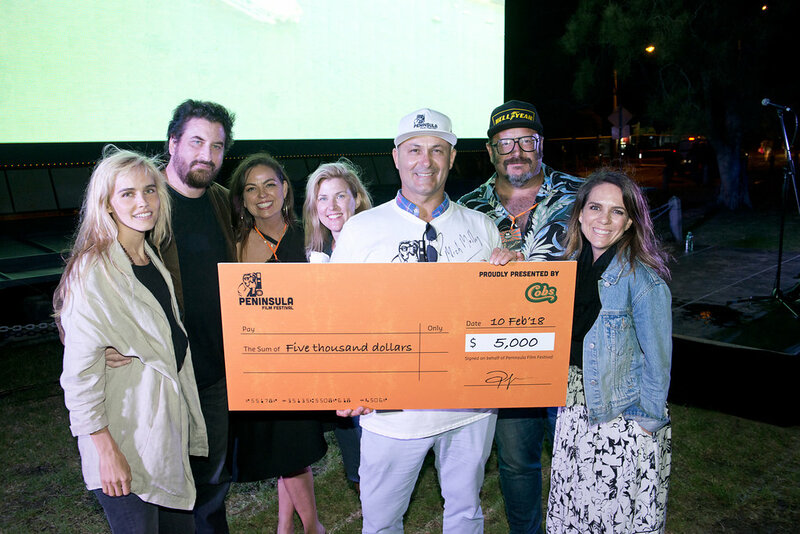 Peninsula Film Festival provides a platform for emerging filmmakers to have their work seen by the public, a chance for grassroots filmmakers to network with industry professionals and a quality free event for the Australian public to enjoy Australian films. The Festival supports and fosters the film industry through providing a platform for Australian films to be seen, giving the opportunity for cash prizes to be won by filmmakers and providing genuine networking opportunities. The Festival provides the opportunity to share Australian stories with Australian audiences. Donations will be used to provide running costs for the Festival including infrastructure, marketing, program collation and logistical requirements. A free short film festival, held in Rosebud on the beautiful Mornington Peninsula on the first Saturday in February. Peninsula Short Film Fest is the Peninsula’s iconic, annual, short film festival with the largest single viewing audience in Victoria. 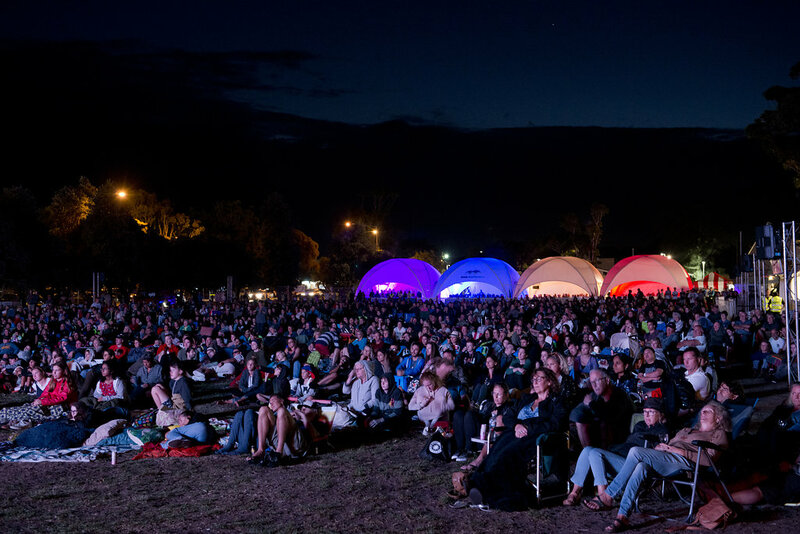 What started out as 500 people packed into a theatre quickly turned into an annual pilgrimage, seeing thousands of people head to the peninsula each year to enjoy quality short films FREE outdoors. Every year, 12 shortlisted films are screened and are judged live by a panel of celebrity judges, competing for up to $20K in prizes. The Peninsula Short Film Festival is headed up by Festival Director Steve Bastoni and Festival Producer Meg Pascoe. The Peninsula Film Festival was an amazing success. The weather gods were smiling on us and we had beautiful, sunny skies, a bumper crowd of 6,000+ coupled with high-quality films. Bring on 2020!